Our extraordinary team of lighting technicians and professionals are ready to hang up your Tulsa holiday lights this year. We provide services for property managers, business owners and homeowners. We provide you with the best of the best in equipment and quality lighting technicians who know exactly what they’re doing. We can turn your home into a Winter Wonderland and you are more than likely going to impress your neighbors with the outstanding job that we provide. If you don’t want to put up your lights this year give us a call today at 918-640-6405. When you hire Green Leaf before you know it you’ll have an extraordinary house lit up and filled with holiday spirit. Our goal is to over exceed expectation and provide quality service that you deserve as a homeowner and as one of our clients. We are known for customer service during the warm seasons when we do landscaping and lawn service all over the city and for top companies including Mathis Brothers and Outback Steakhouse. 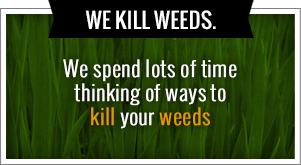 The best part about Green Leaf is that we don’t make you do anything. Our ultimate goal is to leave you with a result that will wow you. We want to make sure that all the lights are up, working and installed properly. No one wants to go down into their deep dark basement and try to find the box of lights that my not even work anymore. No one wants to spend up to six hours going through a big wad of tangled lights and trying to figure out why they keep blinking. With Green Leaf you don’t have to hassle and you don’t have to fuss. We work to give you exactly what you need this Christmas. We understand that everyone is really busy during the holiday season. You have to pick up the tree, trim the tree, decorate the tree and find the gifts that go under the tree. You also have to make sure that tree gets through the front door and you also have to hang up lights all over your house. The problem is that most people do not want to get on the roof and struggle to survive as they try to straighten out the lights that simply don’t look quite right. With Green Leaf you don’t have to worry about hanging of those lights because we take care of them for it. Trust us to put up your Tulsa holiday lights. If you have any additional question about our Tulsa holiday lights and how we can help you please give us a call today. We are ready to help you out during the holidays and get your property looking extraordinary. Let us take over hanging up the lights for you and create the perfect holiday atmosphere. You won’t be disappointed when you decide to go with Green Leaf in Tulsa. Our name may be Green Leaf but we love the winter season and the holidays just as much as everyone. But we understand the most people do not like putting up Christmas lights on their house. In fact it’s something they dread every year. You have to search endlessly for the box that’s either in the basement or the attic. You have to find that half torn box and go through a big wad of tangled Christmas lights. Sometimes you plug them in the wall and realize that they don’t even work. Trust Green Leaf to put up your Tulsa holiday lights this year and eliminate the holiday stress. Call today at 918-640-6405. Our ultimate goal is to put up the lights for you this season. We are ready to help you out during the holidays and get your property looking fantastic as well as the ideal Christmas atmosphere. Our goal is that whatever we do it’s going to stand out and it’s going to impress your neighbors. We have the technicians, the equipment and customer service to help you get what you need this Christmas without you lifting a finger. Our ultimate goal is for you to enjoy the holidays. Most of the time holidays can be great but they are very busy. You have so much to do like purchase the tree, get the tree in the house, decorate the tree and purchase the gifts that go under the tree. You are also making sure that you’re clearing out a room for your mother-in-law who is coming down for the holidays and for your brother-in-law who decided he’s go stay with you over Christmas. There is so much to get done and so little time to do it. Why don’t we take one of the things off of your list by hanging up your Tulsa holiday lights? Not only do we hang up lights for homeowners but we also provide quality service for people and companies who are throwing a holiday party. In fact we have partnered with some of the most experienced and creative lighting technicians in the city. They have an eye for what’s creative and making sure that your holiday party is a smashing success. We go over and beyond the call of duty when it comes to making sure that your holiday party is extraordinary and remembered all the way till next December 25. If you have any additional questions please visit us online or call us today. You receive a free home estimate on what it’s going to cost to hang up your Christmas lights. We also do all the measuring and once we install them we check them to make sure that they’re working. 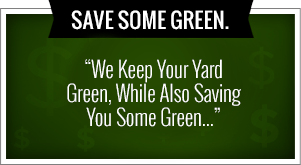 You can’t go wrong with hiring Green Leaf who is dedicated to every customer who calls us. You won’t be disappointed this holiday season with the team here at Green Leaf who are much better than Santa’s little helpers.